The Florida Academy of Ayurveda, Ayurvedic Health Counselor Training diploma program is a 16-month curriculum offering the clinical study and practical application of Ayurveda. This course covers all aspects of Ayurveda; the course of study is offered in 23 weekend sessions and includes Ayurvedic concepts in philosophy, anatomy, physiology and pathology. The program presents classical Ayurvedic teachings on elemental theory, daily regimens, lifestyle routines and evaluation methods. The student learns to assimilate the principles and practices of Ayurveda into his or her own life, so that as an Ayurvedic Health Counselor s/he can effectively guide others toward balanced health and well-being. *Friday Evening, June 3rd is student orientation. Runners and athletes push themselves to the limits and quite often find themselves with very tight muscles or even injury. The focus is on opening the hips, breathing, and meditation in preparation for the birth process. Learn to Teach, Connect and Explore the ancient practice of yoga. This workshop is designed for yoga teachers, as well as students, who wish to deepen their practice. Learn how to instruct and practice the most important asanas (postures) that will refine and build a student’s foundation and stability. Presenter: Bianca Ramos M.A. C.P.T. In this course you will be guided through an inner journey to contact your spirit guide and receive answers and guidance to questions you have about your life. Bianca will also give you the tools to easily reconnect with your higher self during the day, when you feel disconnected – and how to maintain an open connection to your spirit guide for your own meditation practice at home. Experience singing quartz crystal bowls, tuned to our (8) major energy centers (chakras), Gongs, Chimes, and drums during this workshop. For over 5000 years, ayurvedic healers and Yogis used these precious substances to sanctify their environment, beautify their bodies and to promote health, well being and longevity. John has helped many work through their dreams and find success via private sessions. Read more in the newsletter, website, or on the paper next to this flyer. There will be time before and after to talk with John privately about specific dreams. Join Shaman, Reiki-Master, Bowl keeper Jim Red Sky for a relaxing sound journey infused with the healing energy of Reiki. Red Sky uses singing quartz crystal bowls that are tuned to our (8) major energy centers (chakras), Gongs, Chimes, a drum and rattle in this exercise. Being in proximity to these pure healing tones helps bring the chakras back to their natural frequencies through sympathetic resonance, aligning the chakras, creating balance from within, releasing energy blockages, promoting a clear channel for the universal energies to flow smoothly for greater healing & maintaining wellness.Red Sky infuses the quartz crystal bowls with Reiki energy, an ancient universal healing energy system. Reiki energy is released through the vibration of the bowls & following the path of least resistance bathes the chakras with healing properties. All you have to do is relax & enjoy the journey to reap the benefits of a full meditation, chakra clearing & alignment, and Reiki energy session. The group session lasts about an hour including a brief introduction, the sounding of the bowls, and time for comments and/or questions afterwards. The fee is $20.00 per person. The length of the session is approximately and hour but often varies slightly in accordance with those present and their energetic feedback. Bring your yoga mat for your comfort. Pranayama is the yogic practice of controlling the breath. The benefits include better respiratory and heart health, reduced anxiety, relief from insomnia and the ability to calm the mind and body. Pranayama and meditation practice encourages a more balanced integration of body, mind and breath. Barney Chapman is certified in Hot and Sivananda Yoga, and also in Thai massage, a form of Yoga bodywork. He has taken advanced teacher training's in the Himalayas in the Sivananda tradition based on an in-depth Yogic lifestyle. He has practiced and studied meditation and Yoga bodywork extensively in India and Thailand. This experience combined with his knowledge of Yoga anatomy makes him a qualified teacher for posture alignments. He emphasizes the qualities of gentleness and steadiness as a way to deepen the practice and encourages students to develop an awareness to enable the inner teacher to awaken. Cost is $35 for this amazing two hour workshop. 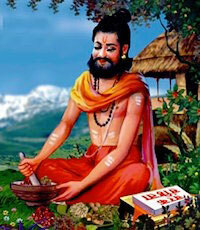 2,500 years ago a dynamic bodywork therapy based upon yoga and Ayurveda practices, appeared in the temples of Thailand. This therapeutic art was directly rooted in the Indian healing traditions of Ayurvedic medicine. We combine the fun of partner yoga with relaxing Thai massage for an easy and invigorating practice anyone can do. Learn stretching and massage techniques that can be done with your significant other, family members or friends. For out of town guests, we recommend the lovely, newly renovated Crystal Bay Hotel, which is only a few blocks away from the Garden Club. They have offered SYTA workshop participants a special rate for the week of the Ray Long workshop! Please click here for details. Ray Long, MD is coming back to our area September 23-25, 2016. His "Bandha Yoga - The Scientific Keys" is an essential source of anatomical yoga information. See 2016 Ray Long Workshop Description/Schedule! Dr. Long's Books and a *15% SYTA discount! *Customers must enter this code near the bottom of their checkout page AFTER they have selected their shipping method. This code DOES NOT work if the customer chooses to checkout with PayPal. They MUST choose to checkout with their Credit/Debit card from within the store. "Hands On Assisting" Learn how to properly assist yoga students. Let’s slow down and ask some basic questions about the whole idea of a yoga assist—because offering and receiving great assists depends first on knowing what an assist is. Back in the old days, yoga assists were called corrections. The idea was that the student was doing something wrong and the teacher could manipulate the wrongness away. Later came the word adjustment, which is a little better, conveying that the student is on the right track and some changes are needed. This workshop is for yoga teachers but we welcome students to join us and learn the benefits of how correct assisting can change your yoga experience. Learn how to use yoga to balance musculature, decrease pain, and minimize your curve with Stacy Foust Renz, occupational and yoga therapist. Participants report less pain, fewer trips to the chiropractor, and greater vitality with regular attendance! Please note: If your back pain is severe, it may be advisable to schedule a private session with Stacy prior to attending class. $45 ($35 if paid one week before class). A private assessment takes an hour and half and is $105 and is invaluable in helping your get the most out of the scoliosis class (or any yoga class). Click here to schedule your private session with Stacy or call or text 727-826-4754. Pay for the class through SquareUp. Yoga Teachers and OT professionals earn 2 CEU. Take your yoga practice to the next level. Begin to explore the prana within and bring the knowledge off your mat and into the world. This training will be "blended" with online lecture and in-class study. The online lecture may should be viewed propr to the in-class work on October 9 by visiting "Chandrakant" on youtube. Chandrakant is Senior Teacher at the Amrit Yoga Institute and and disciple of Yogi Amrit Desai for more than 45 years. What is the "core"? What structures, muscles, bones... are involved? How can we build a supple yet resilient "core" to counter the effects our sedentary culture on our overall posture and vitality. The Core & the Lower Body workshop addresses issues related to the lower body such as tightness, lack of tone, imbalances, and how a targeted yoga practice can readjust, realign and strengthen your abdomen, lower back and legs. The anatomy is presented in a lecture format followed by experiential explorations with progressive yoga stretches and poses. All levels yoga. Props provided, come to practice in yoga clothing. Sign up here to reserve your spot! We'll discuss what is called the "core", structures, muscles, bones ... that are involved. How can we build a supple yet resilient "core" to counter the effects our sedentary culture on our overall posture and vitality. The Core & the Upper Body workshop will deal with the upper body and its issues such as collapsed chest, rounded shoulders, or neck strain. It will show adjustments, carefully selected stretches and yoga postures to realign the upper body and help develop a stable and resilient core and its importance for maintaining a healthy posture and overall vitality and strength. All props provided, come to practice in yoga clothing. All levels of yoga welcome. Learn a new modality for your practice! This Traditional Thai Massage course is a 2 day class done on the futon/mat. It is an introductory 16 CE course approved by NCBTMB that covers a 90 minute sequence and comes with a manual and certificate. This course is great for everyone, especially massage therapists, yoga teachers & practitioners, Occupational therapists/ Physical therapists, and dancers. *Rythmic compressions with hands, feet, thumbs, and knees. Stimulating and moving the 5 vayus, chakras, sen and marma points. Date: November 26, 27, 9am-6pm. Cost: $325.00. $295 if registered and paid one week before class. Includes manual, 16CEs, & certificate (NCBTMB approved)! This course is taught by Barry Cooper LMT, CYT & AHE. Barry Cooper is a Licensed Massage Therapist, Ayurveda Health Educator, and the owner/operator of Ayurvedic Massage and Yoga of Central Florida @ Living Room Yoga. This course is an introduction to Ayurvedic Philosophy 101, a walk through the door of the Ancient Science of Life. This course is great for everyone that is interested in this over 5000 year old medicine and take control of their own well being. It is the follow-up course to Ayurvedic Basics: 5 Element Series, 3 Doshas. -There will be some herbal goodies and oil samples as well! **Cost is $55.00s early registration by Nov. 26, 2016 and $60.00s after the 26th. Take a break from your Boxing Day shopping to rejuvenate and relax during the busy holiday season. We'll start off with an ALL-Levels Vinyasa Yoga Flow to get the energy moving, and end with a nice and soothing guided meditation which will leave you feeling centered, grounded and balanced. 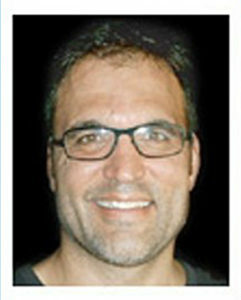 C-IAYT, ERYT500, a yoga therapist, teacher, and published writer on yoga related subjects. A frequent contributor to YogaInternational.com, she has offered yoga therapy in hospitals, clinics, and schools and has been on staff as a yoga therapist at the Himalayan Institute, Omega Institute, and in centers for addiction and recovery. Bring those who fear that “yoga is all about achieving poses” to the studio safely. Age, weight, joint, neural and spinal issues should not be prohibitive for students. Encourage students to come and learn the great benefits of yoga. 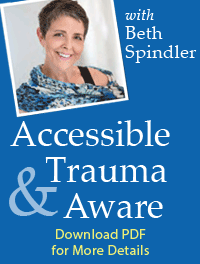 Trauma training deals with PTSD, triggers and how yoga heals. Bring laughter and joy to yoga class, as students heal deep seated issues.